Through innovation, planning and use of quality systems, we take pride in providing you with the highest level of customer service. From design to finish, our experienced team will provide the expertise needed to ensure your electrical project is completed within time frame schedules and budgets. We thoroughly test and inspect our work and keep our testing equipment in full calibration. We have a commitment to a high standard of Health and Safety and believe all accidents are preventable. We ensure our staff are up to date with current Health & Safety practices and do our best to ensure that all sites are safe before proceeding with any work. With ever increasing electrical costs, LED is becoming the choice for lighting. A simple power saving exercise can be swapping over your halogen down lights for new LED down lights. When you compare the cost of a 50w globe to a new 9w or 12w LED down light, the savings really add up. The electrical switchboard of any installation is probably the most important electrical component of the installation. If it’s neglected, it has the potential to cause some serious damage. Generally we can upgrade these in a day, fully tested and commissioned, giving you the peace of mind that your electrical installation is safe. We can set up a maintenance schedule that is customised to cater for your business and building requirements. A typical maintenance schedule includes appliance testing and tagging, RCD testing, exit and emergency testing, smoke alarm and thermal switchboard checks, and public lighting. To minimise any disruption to your business, the work can be carried out after hours. We understand how inconvenient power disruptions are to both your home or business. We are always ready to help 24/7. 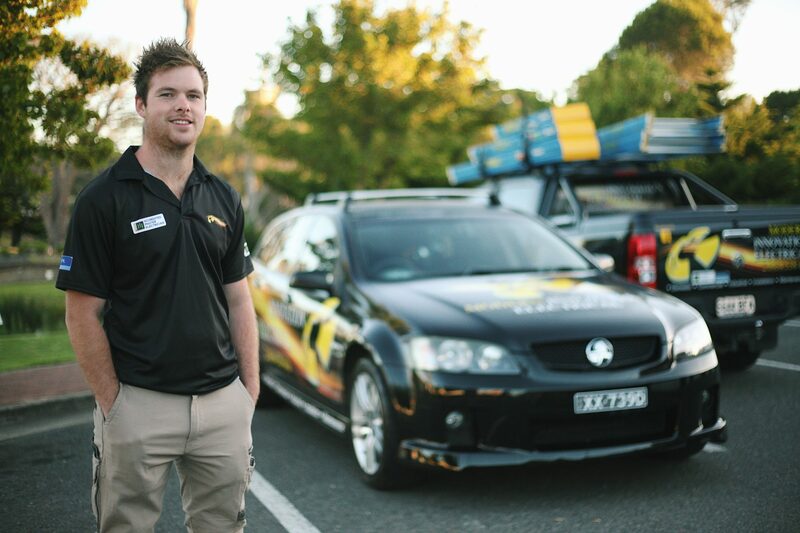 Your phone call will always be answered by a fully qualified Accredited Master Electrician. We are fully stocked and ready to go. Why are we the best for your job? SOUTH AUSTRALIA’S 2018 “ELECTRICIAN OF THE YEAR” WINNER. We guarantee to provide you with the best solution for your job. We ensure the work is done right, the first time. Honesty and trust is the key to any lasting relationship. We will always be here for you. We will always listen to your needs and tell you the truth. 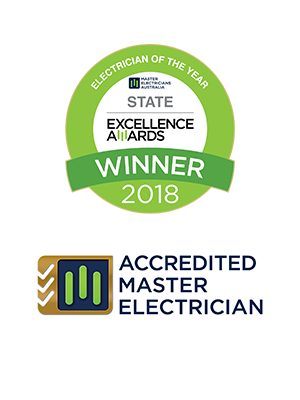 We are Accredited Master Electricians. Over the moon. We got Angus to come out and fit our new home with some much needed extra lighting. Beyond reasonable pricing, exceptional service, excellent workmanship and very friendly. He’s our go to man now for our electrical needs, very highly recommend his work. I can highly recommend Angus. He was prompt, tidy, and professional, and did a super job. Despite his busy schedule he also went the extra mile to come and remove some light fittings before the painter came. A very happy customer I will definitely use MIE for all my electrical work.